Please welcome our most complete, best performing multimedia suite ever. It has everything you will ever need to burn, edit, backup, rip, convert and play your media files with. 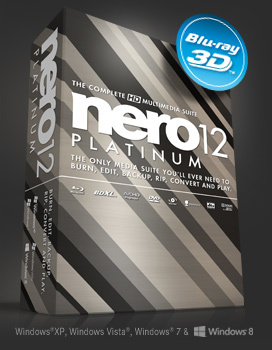 1Blu-ray Disc™ playback is only included with Nero 12 Platinum. Digitally preserve all the VHS tapes2, vinyl albums and cassette tapes3 you have collected over the years. Store them as files on your PC, or burn them to CDs, DVDs or Blu-ray Disc™. 2 Requires A/D capture card, not included. 3 Requires sound card, not included. Automatically span large files efficiently across multiple CDs, DVDs or Blu-ray Discs™ with the all-new Nero DiscSpan SmartFit feature. You can even use discs sparingly by combining disc types automatically. When you upgrade to Nero 12, you can download Nero CoverDesigner, Nero SoundTrax, Nero WaveEditor, and many other useful tools – all for free! 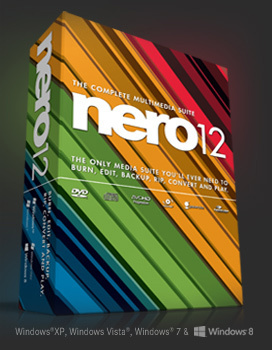 It’s never been faster or easier to get the results you want than with Nero 12. Hundreds of performance improvements include hardware accelerated video encoding and a split installer that lets you get up and running in 5 minutes. Plus, quickly find and use precisely the photo, song or video clip you want in any project. 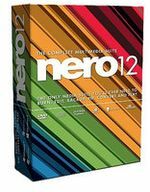 Don’t make the leap to Windows 8 without Nero 12 or you may lose out on DVD and Blu-ray Disc™ playback on your PC, DVD recording and TV capturing. Thinking of waiting awhile before you upgrade your OS? 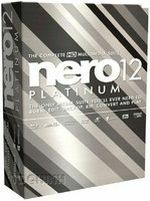 Not to worry, Nero 12 works perfectly on Windows 7, Windows Vista and Windows XP, too. LightScribe compatible recorder and medium. LightScribe host software must be installed. Labelflash™ compatible recorder and medium. Get around to that project you’ve always wanted to tackle. Convert all your analog movies to Blu-ray Disc™, DVD or virtually any file format so they continue to keep pace with your playback equipment1. 1Requires A/D capture card, not included. Nero addresses the unique multimedia business needs of companies with innovative and cost effective solutions for back up, burning and organizing for the ultimate in security, safety and control. Easy file management and data security features plus cutting-edge creative resources makes Nero products the best solution for maximizing your business efficiency, security and creativity. With Nero’s optional Volume License Maintenance Plan, your organization can have access to VIP Level Support, as well as, the assurance of upgrades to the next version for a full 12 months. This program is available to Volume Licenses of 5 or more.